World Qualifying “Loretta Dress” Worn 6 times. 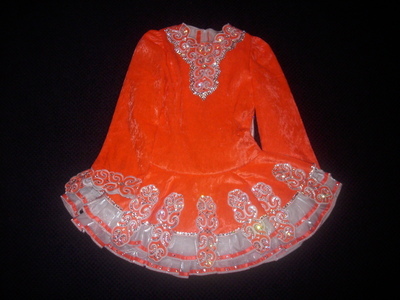 Bright Orange soft skirt with white and ovver 2000 savorski crystals added. Asking Price: $US900. Shipping costs not included. Returns are negotiable.